Boulevard Haussman, taken tonight in Paris, with the rear of the Opera at center. “…At least once a month, I want to photograph this little dome in color, but I’ve been working all month photographing romanesque chapels, day and night. New Year’s Eve was my first day off. I ran straight to the terraces on the 7th floor of the Printemps located on boulevard Haussmann. 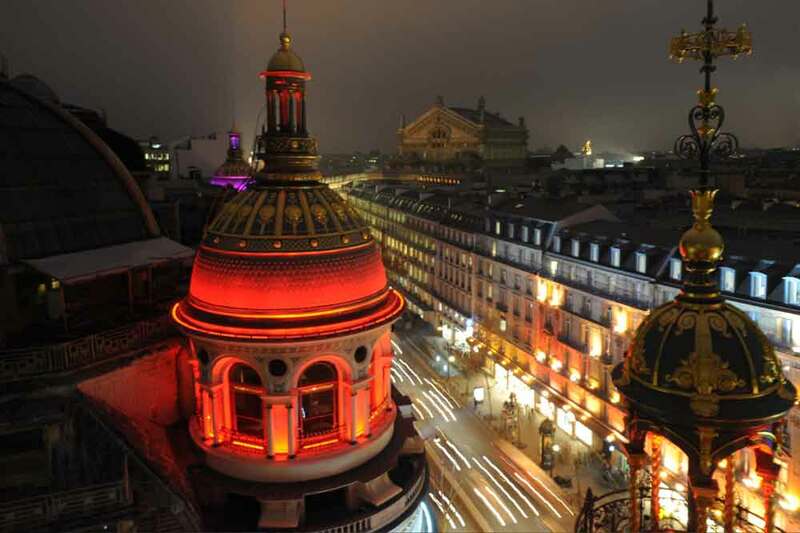 From there, one can contemplate Paris and its magnificent 19th century domes; far from the crowded streets, we dream in a celestial field of buildings and monuments sculpted by light … Just before the new year ! Previous PostDear Ameer – Our 1902 Advance on AfghanistanNext PostHappy Birthday (89th) to Richard, Happy New Years to All with 3 Bunnies in a Basket, Dec. 31 on the Blvd Haussman in Paris, Several Recommendations for NEW YEARS RESOLUTIONS! & One Unfinished Churchyard Story.